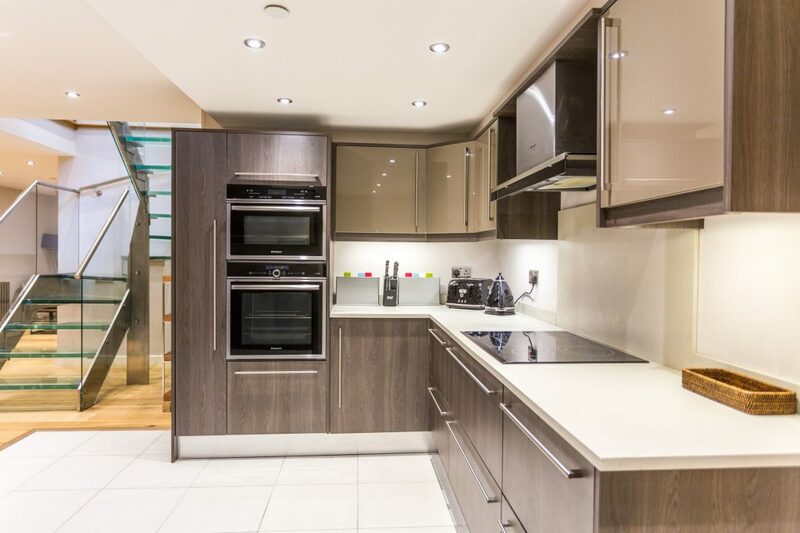 This sizeable home in a very convenient Bayswater/Paddington location offers a lot of space for family and friends visiting London. 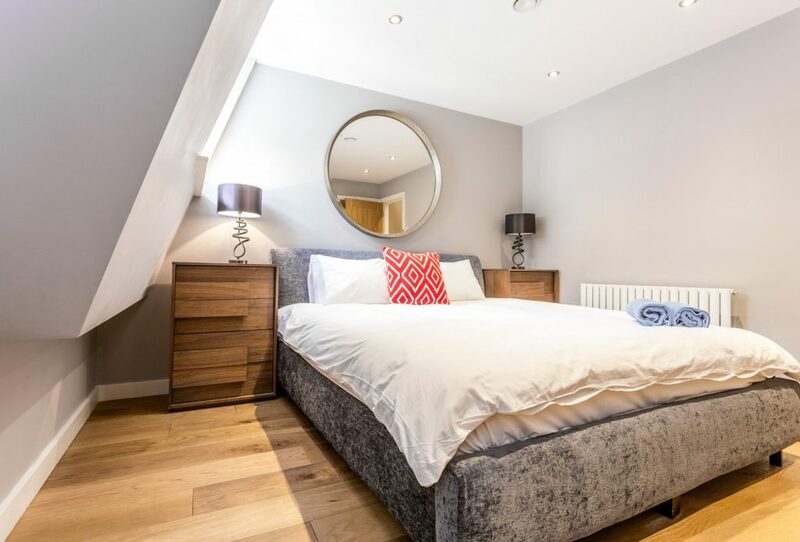 It offers tons of natural light, several living areas, a big kitchen and dining space and is walking distance to many of London’s top attractions as well as conveniently located to use the underground to explore London further. This inviting home is beautifully redecorated with a modern interior. 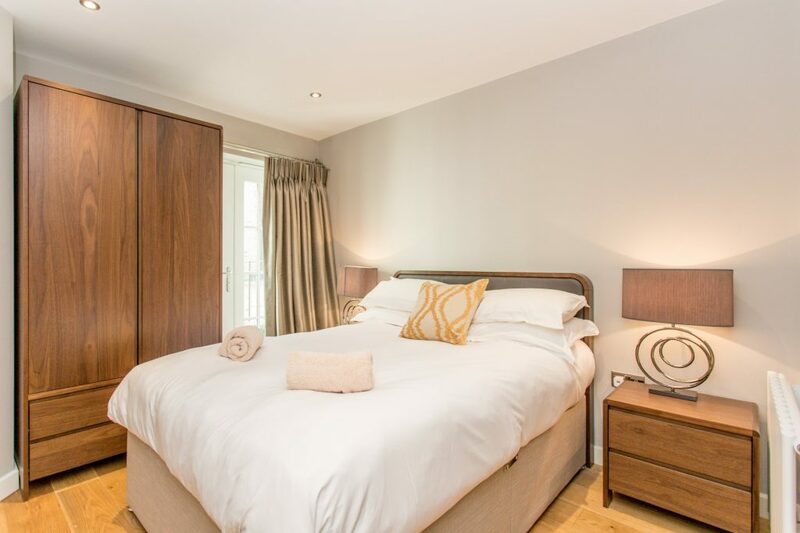 The beds are equipped with a comfortable mattresses and all you’d need to enjoy a good night’s sleep. 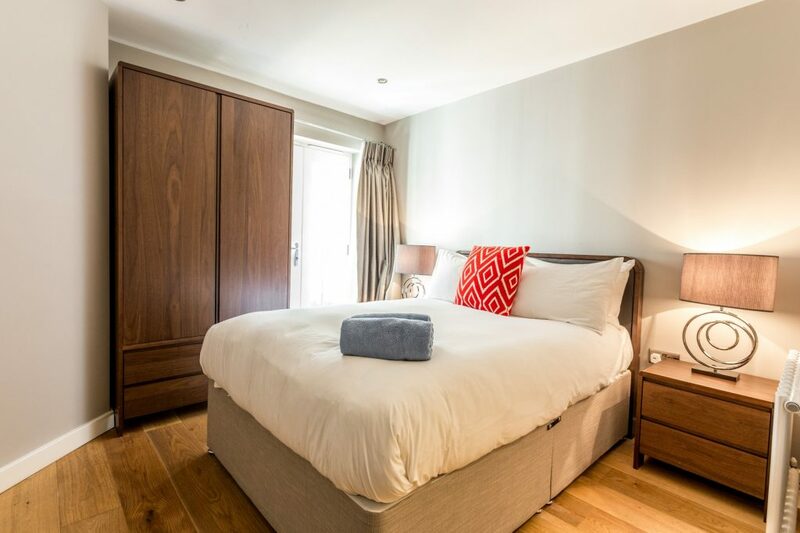 The bedrooms have a good size and are quiet, giving you a haven for relaxation. They are accessorised with many design features and beautiful furniture. 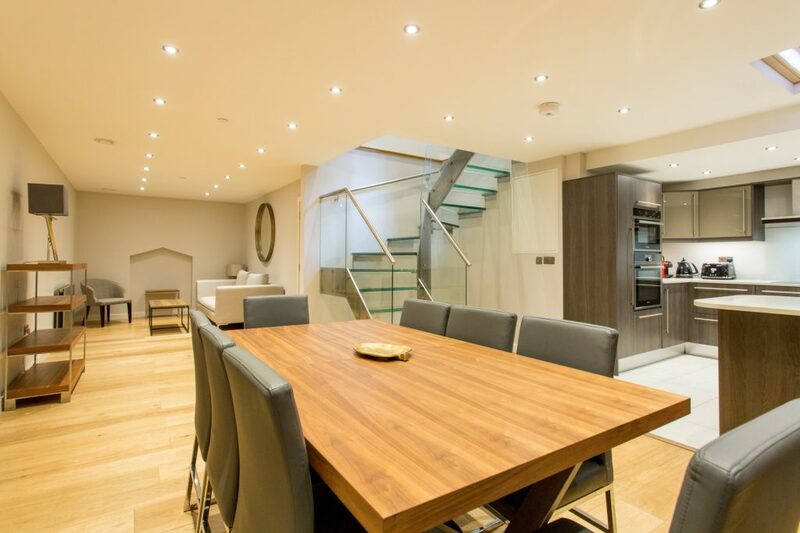 The entire home is in a secluded private mews street for some peace and quiet. The bathrooms, one en suite, are all bright and clean and there is even a spacious bathtub. They are designed to be spaces you’d like to spend time in. 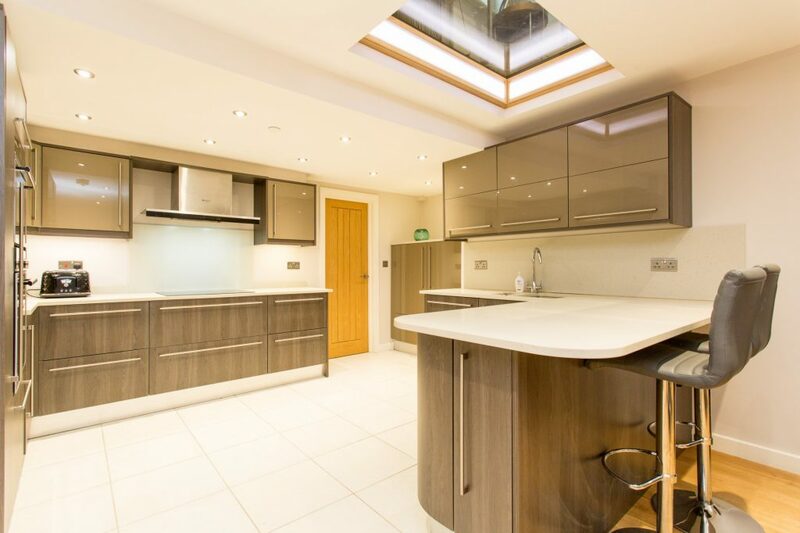 The cool and large kitchen offers you all that you need, is bright and ready for you to use it. It’s fully stocked and is ready for you to use it. It’s a great space for communal cooking and gathering. The dining room is directly connected to the bright kitchen creating a very sizeable inviting space for fun evenings with friends or family. And should the cooking not go as planned, it’s only minutes away from bars and restaurants. 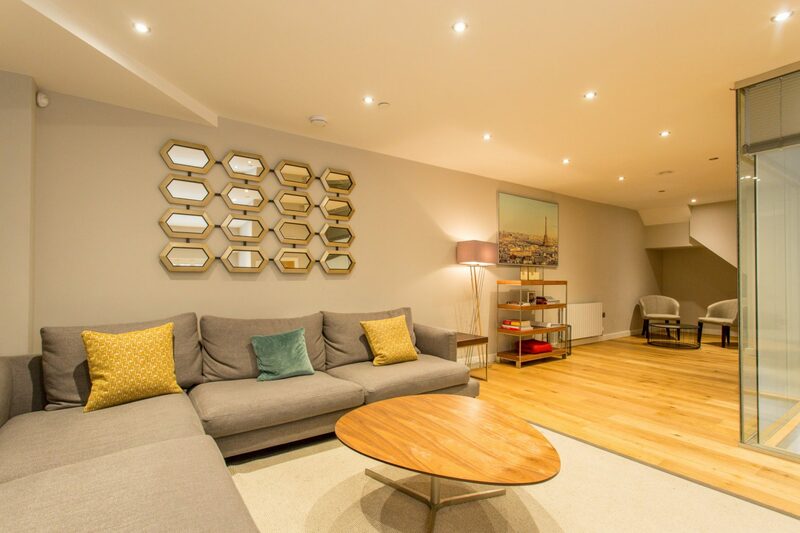 The two living rooms have cosy sofas, armchairs and plenty of space for you and all your guest. 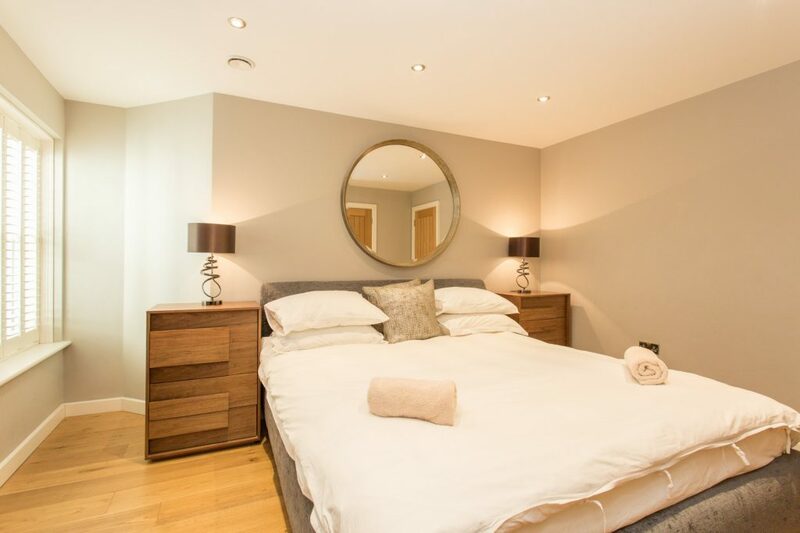 Like all other rooms they’re furnished to a very high degree and offers quality throughout. 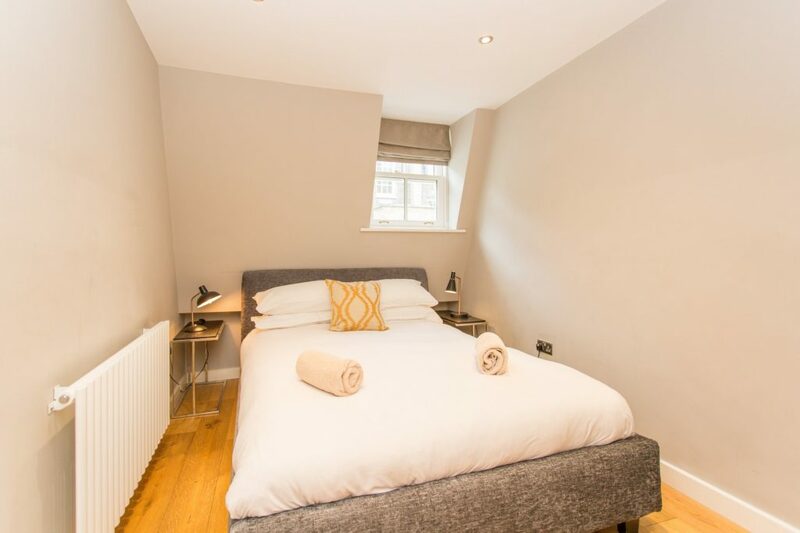 It’s the ideal place to relax after a long day of exploring London with a book or by watching some films on the big flat screen TV. It’s elegant design make it a great spot for families, friends and groups used to a certain level of comfort. You’ll notice some stylish designs all over the home. The several story space will have you feeling at home right away. It also offers high speed WiFi and an office desk space to work, should you need or want to get some work done while there. 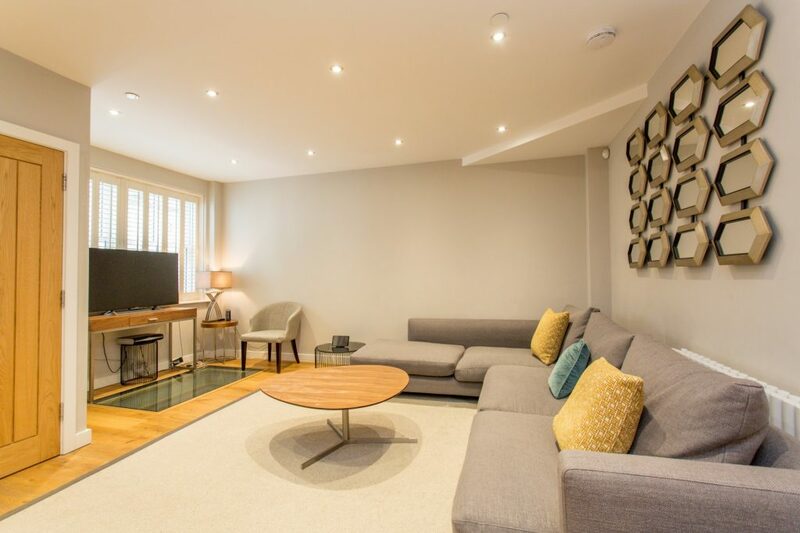 Right in the heart of London only moments away from Paddington Station, many surrounding stations in walking distance and close to two beautiful London parks, this home is the perfect location for friends or family. 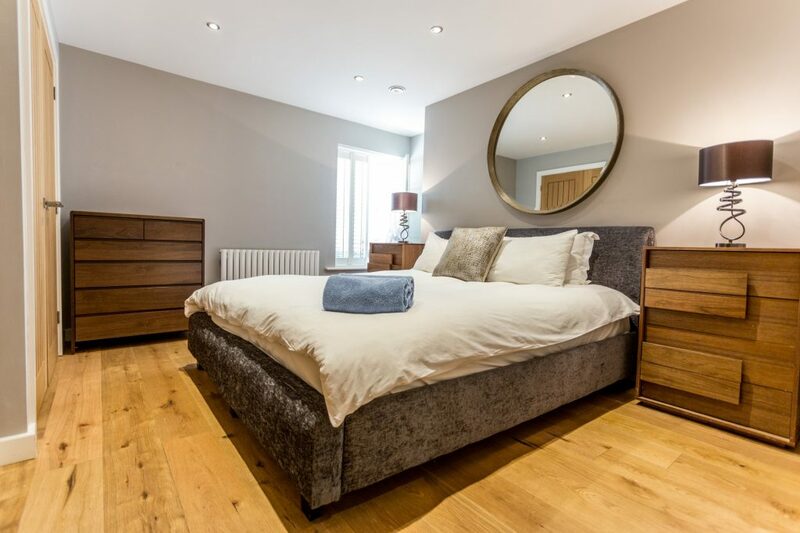 Both Hyde Park and Regent’s park are a few minutes away, and you are surrounded by hundreds of great restaurants and bars nearby in Marylebone with Mayfair, Soho and Notting Hill. With so many tube stations a few steps away, you have easy access to anywhere in London and can walk to most areas of central London in under 25 minutes.